Global HerbsVeteran Plus previously OldAge is a formula specifically designed to support the aging process and help with suppleness, energy and general body condition. It supports the immune system and helps feed and revitalizes all the internal organs. 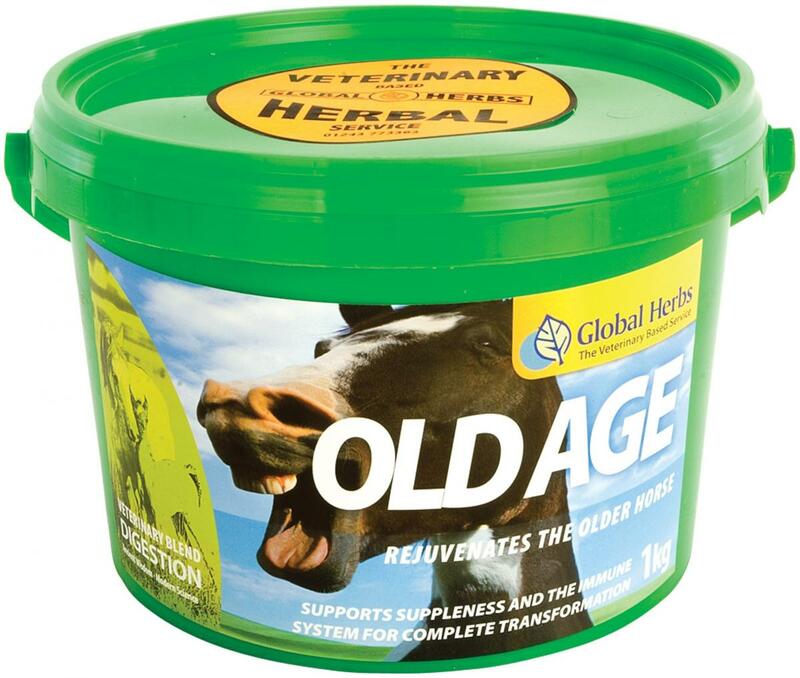 OldAge is not just for old geriatrics but can be used on any horse that is in need of a big helping hand. For example in convalescence or for rescue cases. Feed two 25ml scoops twice daily to start with. After a month this can usually be reduced to lower levels for long term maintenance and top health for the rest of your horse’s life. 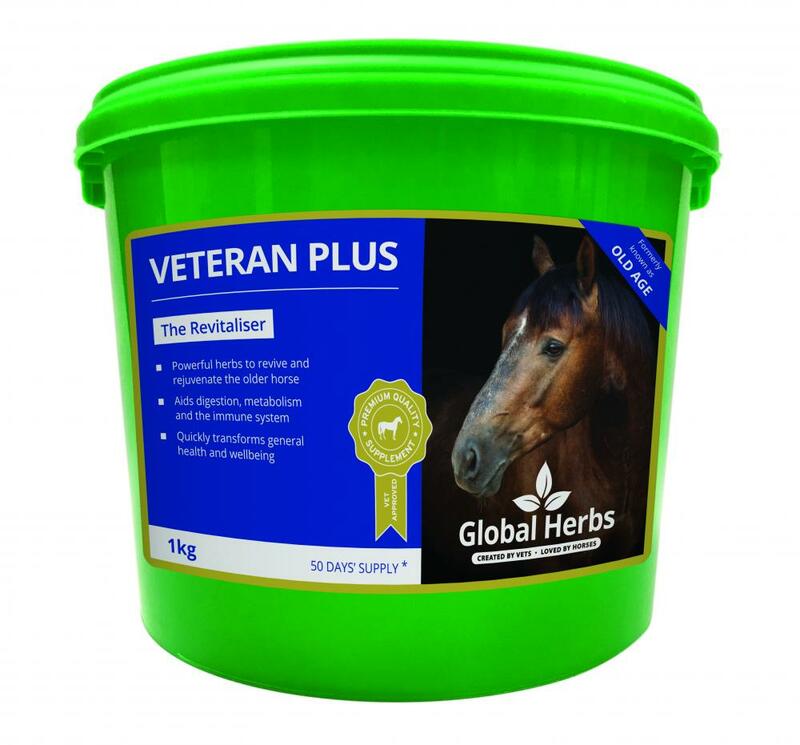 There are currently no questions for Global Herbs Veteran Plus for Horses - be the first to ask one!